less important then learning how to force-multiply your own efforts by working with other people. Other people are always a force-multiplier, and that's something it took me a long, long time to learn. You know we have a lot of volunteers now, with Castalia, with Infogalactic, with Arkhaven, and you know all of their efforts are very much appreciated, but it took me until, I think it was until three years ago, that I allowed anybody to volunteer for anything because I was always trying to do it myself. I was always trying to do it alone, and when you're alone you are more easily isolated, obviously, you're more easily ignored. There's a reason why the first thing the SJWs do is to cut people out, to separate them from others, you know, freeze and isolate them as Alinsky wrote. They do that because it weakens you, they do that because it makes it easier to prevent you from having success, and so that's why you need to be willing to give up the idea that you're going be in charge, that you should be in charge, that you know best, etc. If you want to be in charge of something, then you start something and people come to you, and they join you, and they force-multiply your efforts. What you cannot do, and you must not do, is to try to join somebody else's group, and then share your wisdom with them and try to tell them what to do. You know that is always a mistake, that is always intrinsically offensive, and you should not be surprised when people don't appreciate your efforts to help them. All right, if they ask for the help, great, but if you're just doing it out of the goodness of your heart or something, I mean, come on, let's be realistic with yourself, what you really want is you want the influence without the responsibility. Don't do that. You can only really have influence if you're willing to take responsibility for yourself, and the person who is responsible is the person who has the skin in the game and as Talib correctly tells us - no this is not leading from the bottom it's not about leading at all, that's the whole point, to get over the drive to lead - if you want to lead, you have to have people who voluntarily follow you of their own free will. You need to start walking in a direction and if people follow you, then you're the leader, but what you cannot do is try to jump in and try to hijack the microphone, hijack the group, hijack the planning, hijack the strategy, that is all wrong! You're not helping people by doing that, you're actually creating problems. So, before you can be a good leader, you have to learn how to be a good and reliable follower. On force-multipliers, no matter how capable a person is, you can always become your own bottleneck. But getting around that requires Trust, which is what the SJWs always attack. It's quite easy to isolate people in a low-trust environment. You may be the biggest and baddest damage dealer around, but when it comes to the larger scale stuff you're lost without others in support roles. That being said, there can be only one leader in the end. They can ask for and take advice but only one person can call the shots - when it becomes a committee it falls apart. Throwing your two cents in when not asked for is not appreciated. Your comment on not trying to do it all alone is spot on. Reminds me of the four types of mindsets discussed in Robert Kiyosaki's Rich Dad Poor Dad books (employee and small business vs big business and investor). Success comes from letting go of the reign and from growing up skills in other people. Don't be the loser that tries and fails to control it all. just skimming a Breitbart headline. 62% of German's don't want open borders unrestricted immigration. Point? Everyone knows there are lies and damned lies and statistics and politicians using statistics. What the statistics mean is nearly 100 % of people don't want f....g sharia law, Islam by stealth. ie. We don't just have the numbers on our side we overwhelmingly have the numbers on our side. The only question is how to convert that into political action. How to say "cultural creep stops today?" "62% of German's don't want open borders unrestricted immigration." What seems to be the case is that in all societies a small number of elites control events way out of proportion to their numbers. Democracy diminishes their power but doesn't eliminate it. Thus you get this kind of out come. Something I have noticed is that a lot of conservative commentators have no institutional setup. They have followers, but once they pass from the scene their impact will be, in a few years, nothing at all. I would argue that people are the force, and planning/knowledge/intellect/leadership is the force multiplier. That is closer to how the cold war era term was applied. Lanchester's equations don't really apply if you're creating a web site rather than conducting an artillery duel. Well, maybe he has a different equation for a race / network effect situation that I'm not familiar with. Nonetheless, people provide a linear increase in man power, but the output can be exponentially related to the man power available. The exponent is less than 1 if you have poor leadership, but is way higher than 2 if you have effective division of labor and sharing of ideas. So the force multiplier is not just the capability of the leader, but includes the ability of subordinates and followers to organize / self organize. One lumberjack may not be much more efficient with a 130 IQ as opposed to a 95... if that were the case, geniuses would be cutting down trees for 200K/year. But a society of 130 IQ individuals can automate lumber processing. Nice Darkstream, Vox. Glad to hear that you're still down with the footie. > So, before you can be a good leader, you have to learn how to be a good and reliable follower. One of the things I'm hoping for is to eventually have more time to help out with various projects I know of. I have no idea if it will happen or not, but it's at least a possibility in the not too distant future. It wasn't in the past. @6: "What seems to be the case is that in all societies a small number of elites control events way out of proportion to their numbers. Democracy diminishes their power but doesn't eliminate it." The important point is to keep the elites' interests aligned with the nation's. Democracy probably only masks the elites' power. 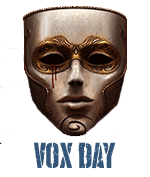 We know you've got a lot on your plate, Vox, but any chance of a new Voxiversity soon? Maybe after Alt-Hero #2 is out? Another good Darkstream, by the way. I'm enjoying these darkstream transcript posts. 'Net data is expensive so the text saves me from watching a video, and the less polished vocal delivery is a pleasant change of pace from your typical economy with words. Is... is that Heltallia in the logo? Probably after QM2 and before AH2. I've been under the weather and my voice has not permitted me to record it. Thanks for the update. Looking forward to all three. "Lanchester's equations don't really apply if you're creating a web site rather than conducting an artillery duel. Well, maybe he has a different equation for a race / network effect situation that I'm not familiar with. Nonetheless, people provide a linear increase in man power, but the output can be exponentially related to the man power available. The exponent is less than 1 if you have poor leadership, but is way higher than 2 if you have effective division of labor and sharing of ideas." you have a battle line with close combat weapons and equipment (club, swords, knives, shields and armor). If you have a HUGE phalanx 12-rows deep, then only 1/12th of your manpower is engaged, and worse, each man can ONLY engage the man directly in front of him. Attrition, and therefore, combat force, is not only linear, but linear in direct proportion to the formation width. It's a simple linear algebraic equation. 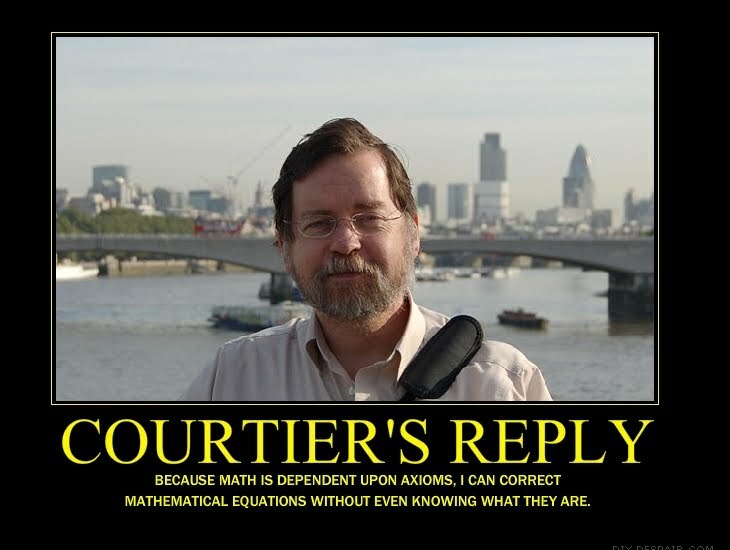 But Lanchester ALSO has an equation for non-linear combat. This is to model the case for ranged weapons. It is an "anybody can engage anybody else on the opposing side" model. The form of THIS model is a differential equation which STARTS with a linear algebraic component, which, when evaluated, behaves similarly to a quadratic algebraic equation or an exponential algebraic equation. This same equation is useful for analyzing not only modern military rifle vs. military rifle engagements, but also 4gw networks (where the "occupying force" due to limited intelligence, has a lower-effectiveness per soldier of finding and targetting his opfor than the opfor does of finding and targetting the "occupying force." Both sides TTP's further modify the above in regards to the rates in which either side incapacitates opposing combatants. And it's kind of a 2-level affair. The first level is the overall theater or area of operations (i.e. strategic). The 2nd level is each tactical engagement. There could be a 3rd, intermediate level (operational). Regarding role playing games, I almost picked up Starfinder. As I read through the first few pages, it has the very irksome practice of using the female pronoun for every single thing under the sun, even going so far as assuming the character the reader is going to create is a woman. They lost the sale of at least a few high-priced books. This is honour. The offer to play anytime? They honour you, you honour the offer. If given a job, you honour that. Honour is the word.